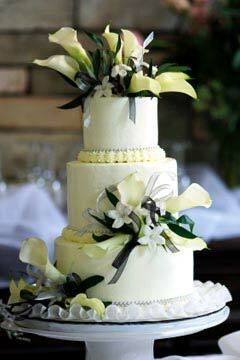 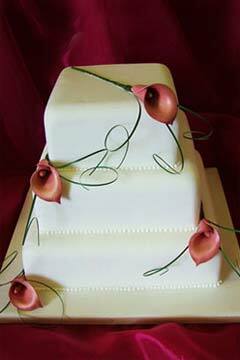 Elegant and sophisticated, often artistic and graceful, Calla lilly wedding cakes are always eye-catching. 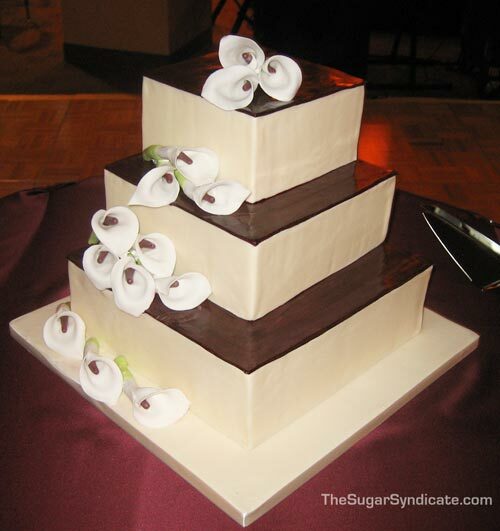 The beautiful Calla Lily has long been a symbol of regal beauty and majesty and is the perfect embellishment for any wedding cake, whether simple or cleverly crafted. 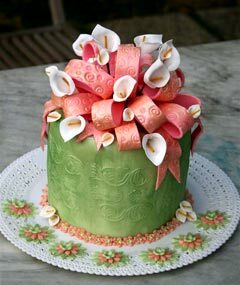 Whether picked fresh or imported for the occasion, Calla Lilies can also be handmade from sugar paste or from rolled fondant. 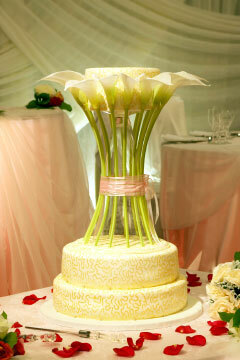 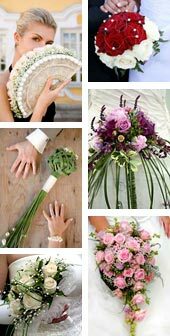 The most favoured Calla Lilly colour for brides is of course white. 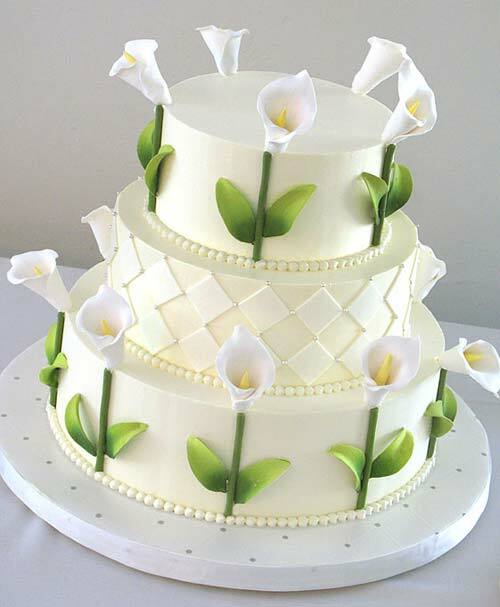 However, the Calla Lilly bloom comes in many colours: white, cream, green with white centres, yellows to golds, pale peach to apricot, orange to rustic variations, shades of pink, shades of red and burgundy, violet to deep purples, chocolate and even black. 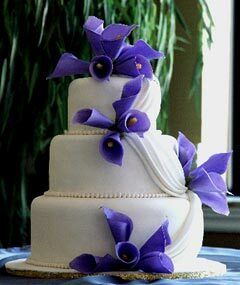 Here are some pictures of wedding cakes with Calla Lilies. 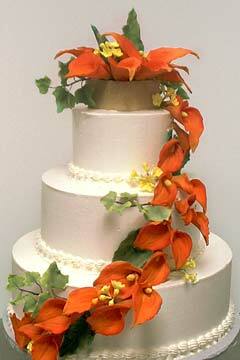 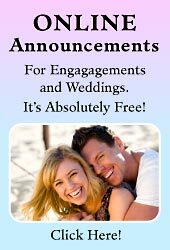 Calla lily wedding cake designs. 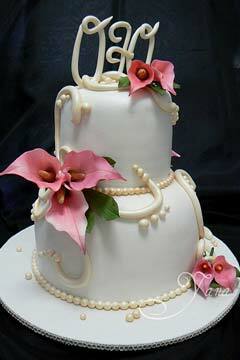 Three tier fresh flower wedding cake. 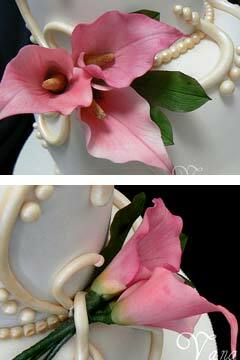 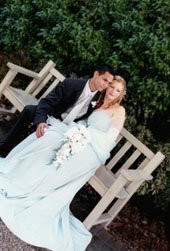 With Calla Lily cake topper and white Stephanotis. 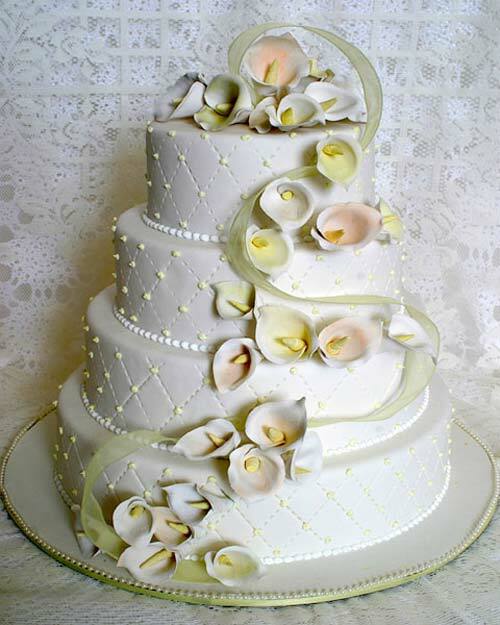 Small two tier wedding cake with a uniquely arranged white Calla Lilly wedding cake top.